ADVANTAGE 2018 – Adaptive Insights, a Workday company, showcases the business value of combining Adaptive Insights Business Planning Cloud and Sage Intacct ERP this week at Advantage 2018. Strong demand for planning and analytics that tie to the system of record enables Adaptive Insights to continue to add new customers that use Sage Intacct with its Business Planning Cloud. This brings the total number of organizations trusting the combined cloud-native platforms to more than 200 worldwide. Attendees can engage with Adaptive Insights, a platinum sponsor of Advantage 2018, across the conference as Business Planning Cloud is featured throughout the exhibit hall, sessions, and customer and partner events. Combining Business Planning Cloud with ERP systems enables organizations to get business agility in a fast-moving world. Powerful modeling in an easy to use platform offers a comprehensive view of the business. The company currently supports integrations with more than 200 different ERP, CRM, HCM, and other systems, giving finance and business planners across the organization access to financial and operational data they need to make better decisions faster. Critical accounting and finance processes like month-end close, reporting, and annual budgeting take too long due to disjointed data sources, multiple versions of the truth, and version control issues. Customers that integrate cloud financial management software such as Sage Intacct with Business Planning Cloud save time, deliver more accurate forecasts and reports, and add strategic value to the organization. Adaptive Insights Business Planning Cloud is sold direct and through a channel network that includes referral partners, system integrators, solutions provider partners, and system integrator vendors. Today, Adaptive Insights has nearly 20 partners that also offer Sage Intacct to their clients, including many that achieved Sage Intacct 2018 President’s Club Award. 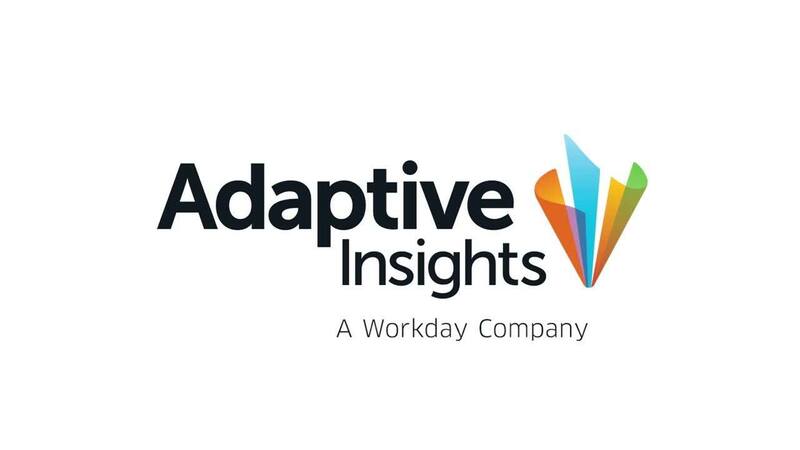 Adaptive Insights, a Workday company, is powering a new generation of business planning. Driving business agility in a fast-moving world, Adaptive Insights Business Planning Cloud leads the way for people in companies to collaborate, gain insights, and make smarter decisions faster. Powerful modeling for any size organization, yet so easy for everybody who plans. Adaptive Insights is headquartered in Palo Alto, CA. To learn more, visit www.adaptiveinsights.com.